If you want to touch-up to your smile (or kick-start the whitening process), QuickPro gives affordable, immediate results. The beauty with this is that you spend very little time in the dentist’s chair, and you can be on your way almost straight after our varnishes have been applied. You’ll get noticeable results, with a smile up to 4 shades brighter in only 30 minutes. Veneers are very thin pieces of durable, tooth shaped porcelain that are custom made (for shape and color) by a professional dental laboratory. They are bonded onto the front of teeth to create a beautiful and attractive smile. Veneers can completely reshape your teeth and smile. They can often be alternatives to crowns and the ideal solution in treating many dental conditions. Unlike some dental restorations, porcelain veneers will not stain. They are custom made and crafted with precision for each patient and will last many years, giving you a beautiful long lasting smile. Veneers can last from seven to twenty years. Our smile simulation technology allows us to digitally create a restored and enhanced version of your smile. 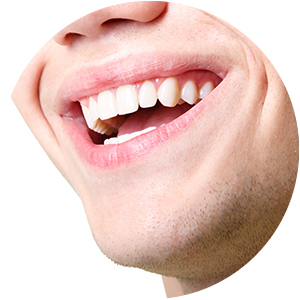 We can recreate your smile with our smile simulator to show you what your smile will look like post procedure.